Our story goes back around 20 years when Caffè Nero’s founder had a vision to create traditional Italian cafés in Europe. 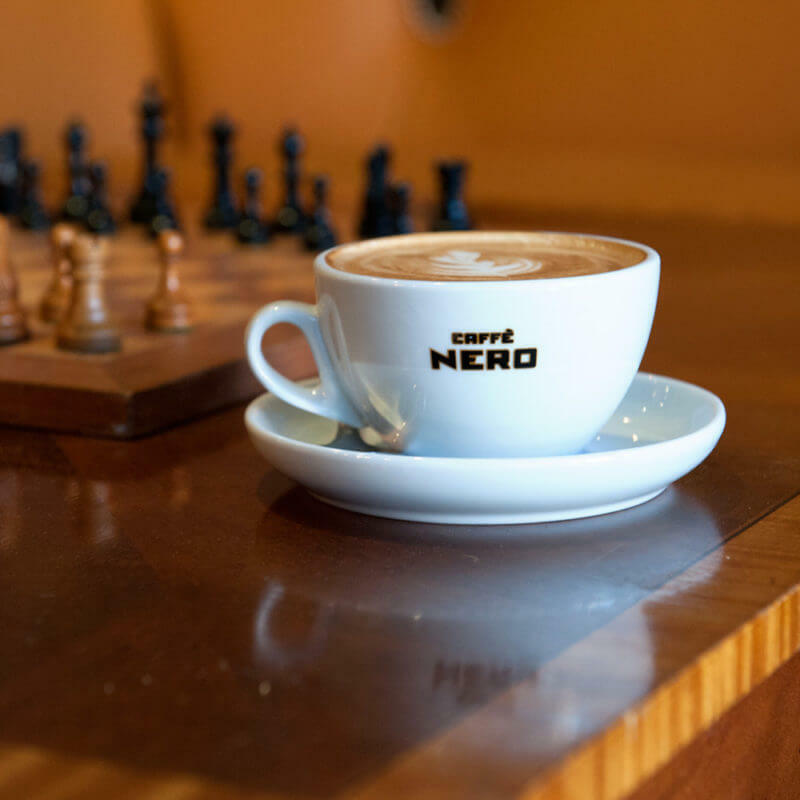 Armed with a passion for coffee and desire to be a neighborhood meeting house, Caffè Nero dedicated itself to very high quality coffee and service with Italian inspired food. (With a little French and localization along the way!) We started off simply trying to make a few local independent coffee houses work. And they did! We never aspired to be a big company, in fact, even today as we grow in the USA, we see ourselves as a family run start-up. In Europe, we built our own remarkable Roastery and training center and created a unique, award-winning coffee blend. We have grown one coffee, one customer, and one store at a time – always trying to be the best at what we do. We have reinvested in the business to stay true to the original vision, and we’ve done this with resilience and determination. Since opening our first USA café in Boston, Massachusetts in May 2014, we have attempted to offer the best of artisan café life with fresh pastries and sandwiches along with our highly acclaimed coffee. We opened our 11th café in Washington Square, Brookline last month and now have over 211 baristas and Caffè Nero team members.